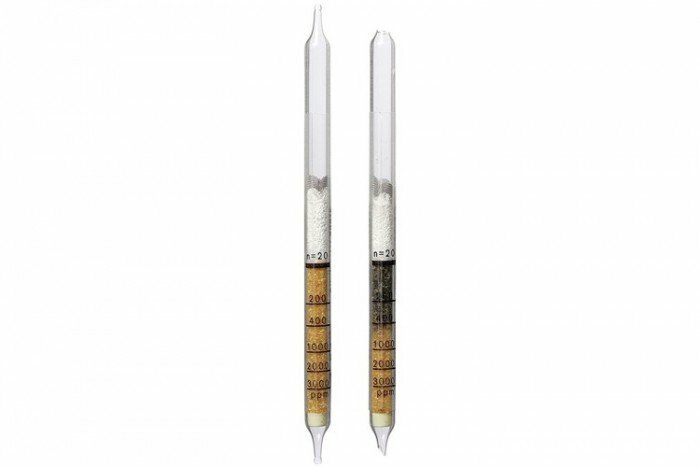 These Ethyl Acetate short-term detection tubes from Drager Safety (200/a) have a measurement range of 25 to 250 ppm. They detect additional substances including Acrylonitrile, i-Amyl Acetate, n-Amyl Acetate, n-Butyl Acetate , Diisobutyl Ketone, Ethyl Formate , sec-Hexyl Acetate, Iso-Propyl Acetate, Methyl Acetate , Methyl Formate , 2,4-Pentandione, Pentyl Acetate, Vinyl Acetate. Please note that these tubes have a shelf life of 2 years and come in pack of 10. Many petroleum hydrocarbons, alcohols, aromatics and esters are indicated, but with different sensitivities. It is impossible to differentiate between them.